Broadway Rose presents glitzy Broadway musical-comedy classic on stage in August. Broadway Rose Theatre Company will continue its 2018 "Season of Irresistible Fun" with "Guys and Dolls" at the Deb Fennell Auditorium. Opening night is on Friday, Aug. 3, and performances will continue through Aug. 19. Jump into a colorful world of underground dice-slinging, glitzy showgirls and high-stakes romance in one of America's most enduring musical comedies. In mythical 1950s New York City, career gambler Sky Masterson makes the bet of a lifetime to win the heart of "Save-A-Soul" missionary Sarah Brown while long-suffering nightclub star Adelaide laments foot-dragging beau Nathan Detroit's 14-year failure to tie the knot. 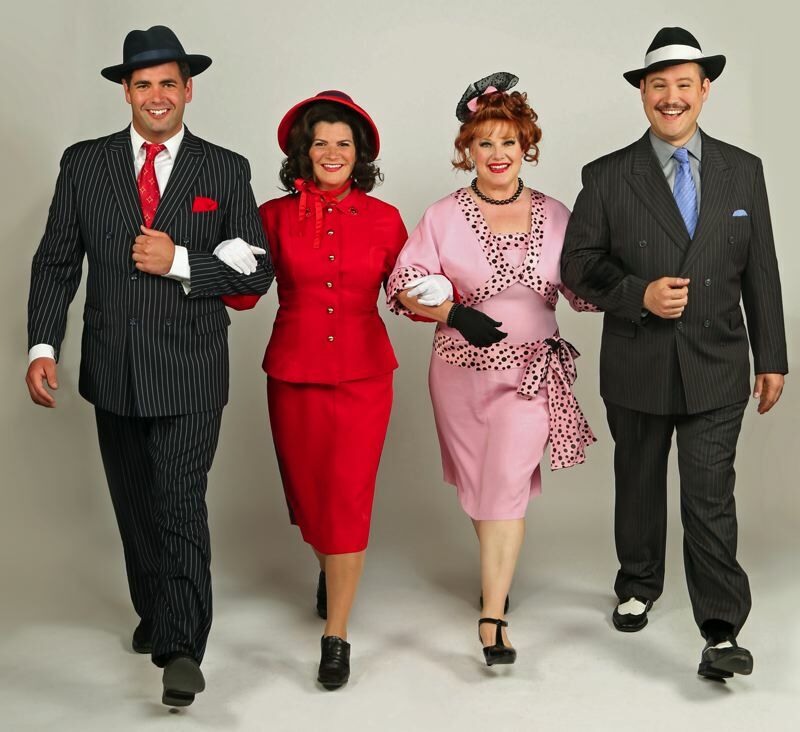 Big, brassy and timelessly exuberant, "Guys and Dolls" is rich with beloved show tunes ("Sit Down, You're Rockin' The Boat," "If I Were A Bell," "Luck Be A Lady") and old-fashioned Broadway fun. "Guys and Dolls," a musical fable of Broadway, is based on a story and characters of Damon Runyon. Music and lyrics by are Frank Loesser, and the book is by Jo Swerling and Abe Burrows. Broadway Rose's production is directed by Sharon Maroney, with music direction from Jeffrey Childs. The production stars Ryan Reilly as Sky Masterson, Dru Rutledge as Sarah Brown, Joe Theissen as Nathan Detroit, and Emily Sahler as Miss Adelaide. The supporting cast includes Mike Dederian as Lt. Brannigan, Margo Schembre as Gen. Cartwright, Dan Murphy as Arvide Abernathy, and Brandon B. Weaver as Nicely-Nicely. Evening performances of "Guys and Dolls" are at 7:30 p.m. Thursdays through Saturdays, and matinees are at 2 p.m. on Sundays, with Saturday matinees on Aug. 11 and 18. The Deb Fennell Auditorium is at 9000 S.W. Durham Road, Tigard. Tickets are priced from $30 to $60 for adults, depending on date. Tickets in the upper section for ages 6-18 are $20 and ages 19-30 are $25. Discounts are available for groups of 10 or more. $5 tickets are available for Oregon Trail cardholders through the Arts for All program. For a full listing of show performances or to order tickets, visit the website, call 503-620-5262, or visit the box office at 12850 S.W. Grant Ave., Tigard.